SKU: 486. 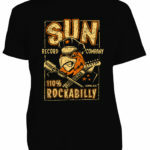 Category: Women's Clothing, Women's Dresses. 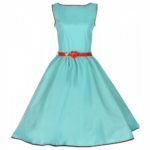 Dance the night away in this classic design rockabilly 50’s inspired halter neck swing dress brought to you by Lindy Bop. 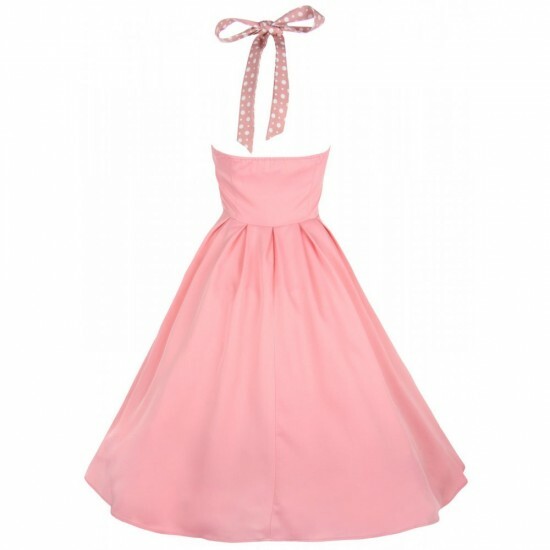 Whether you jive or swing this dress is the perfect dress for you. With it’s wide polka halter neck ties, fitted bodice and wide flared skirt, it’s a rock ‘n’ roll dream! A petticoat is required to create the look in the picture.